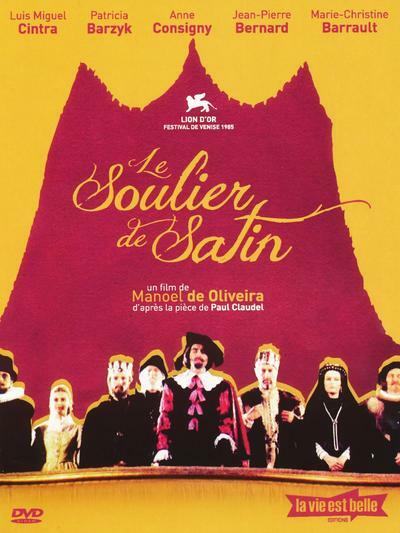 The Satin Slipper is a near seven hour metafictional trans-continental theatrical epic, realised by Manoel de Oliveira from the staged period drama of Paul Claudel. It is weighty, inspiring, and exquisitely beautiful. 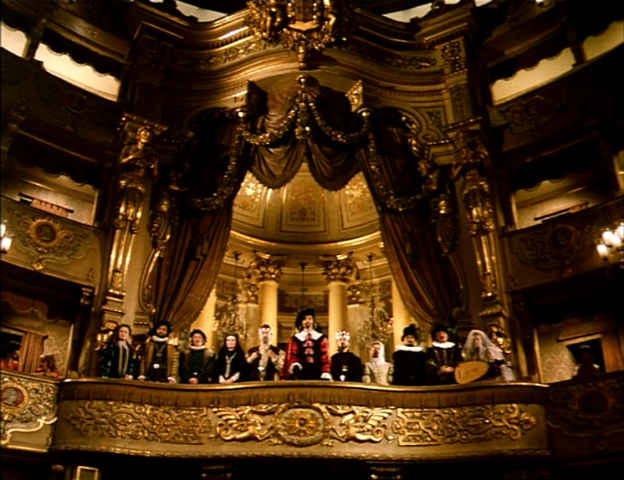 The movie opens with two quotes, which frame the film, regarding the mysterious ways of God, the second of which, “etiam peccata”, “even sins”, is a reference to St Augustine, who added this to a then famous phrase, giving, “Omnia cooperantur in bonum, etiam peccata”, which is to say that everything happens for the glory of God, even sin. 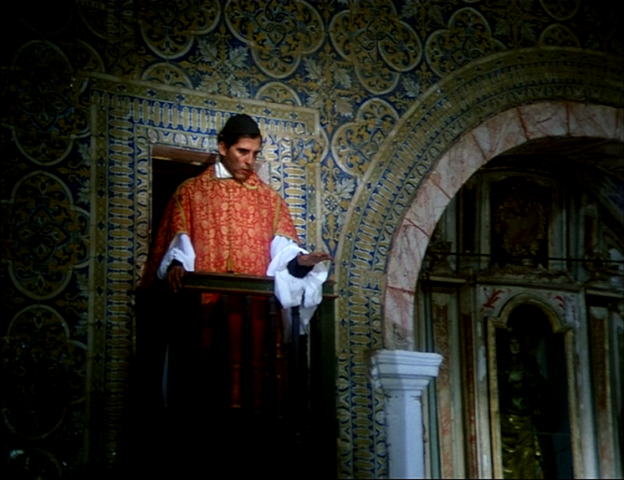 The opening scene contains an exhortation by a dying priest, that his brother, Don Rodrigo, who has given up his studying for the priesthood, in favour of an exploration of power, for yoking the world to his will, be led back onto the path of righteousness, and that his sins be Augustinian in nature. 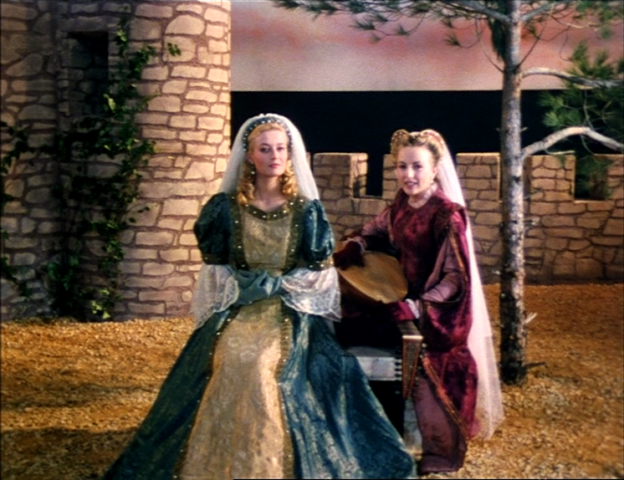 Rodrigo’s journey provides a skeleton for the movie, which however contains numerous supplementary stories and messages. 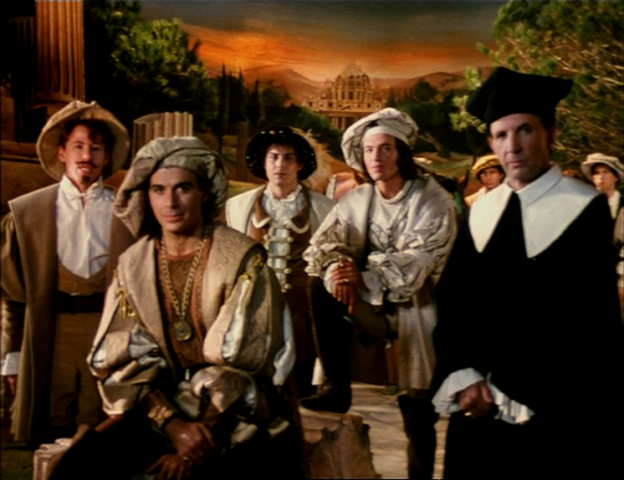 After the introduction, I do not think that you could watch straight the next nearly seven hours of this film without going mad, or rather it would be like holding a cup and letting the continuous pouring of wisdom and beauty overflow and go all over the floor. The Satin Slipper has seven hours of content, of talking where it pays to listen. 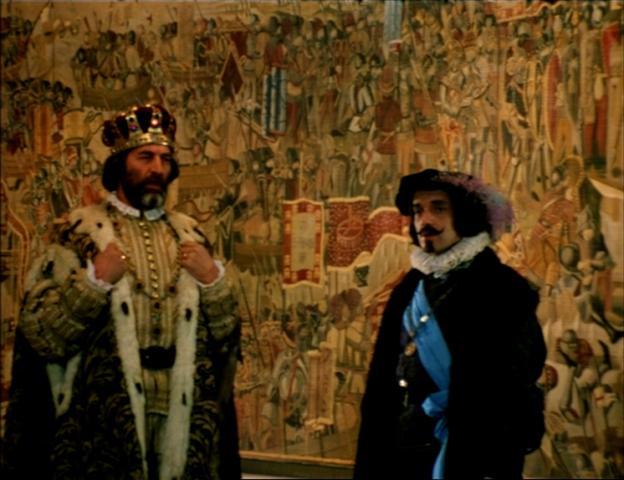 Rodrigo, who will later mirror his brother, has a grand destiny, the life of one real person is not enough for this character, he is a composite of at least two historical figures, Rodrigo de Vivero y Aberrucia, governor general of the Philippines, and Antonio de Mendoza, first Viceroy of New Spain. 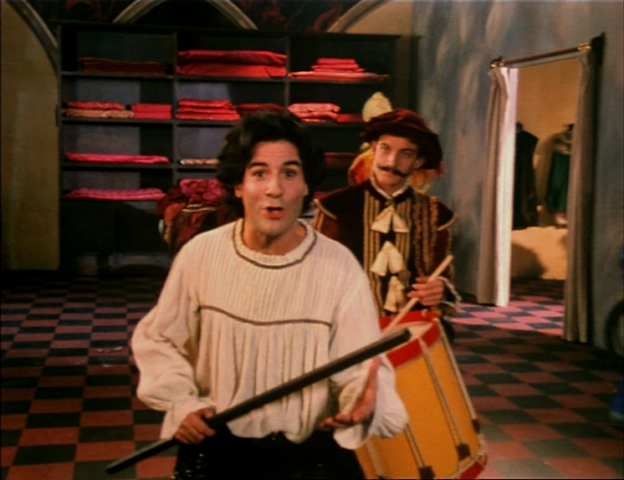 In real life Antonio accepted the role of Viceroy only after it had been turned down by three men, but here Rodrigo is the only man for the job, a typical exaggeration in a film of super-hype. 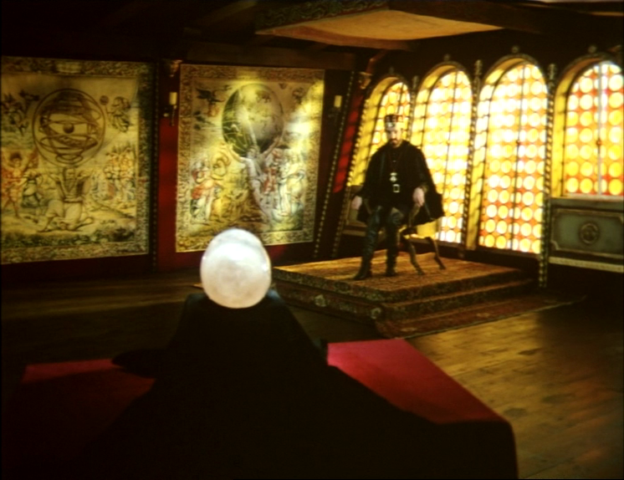 He travels to the New World and manages to harness hardened megalomaniac renegades under the yoke of the King of Spain, Don Ramiro and his wife for example are literally portrayed as Tarot cards in Rodrigo’s deck (the Magician – le bateleur, and Temperance). There is the essence of life in this movie, the drops of stuff that got added to clay to make people. Whether that be from Mary of the Seven Swords who brims with unvarnished audacity and exuberance, who is youth itself, to the earth song that is Jobobara, a sexual Mooress, to her mistress Prouheze, mad with life, mad with love, who sets a trap around herself and leaves the resolution to fate, to lovelorn Don Balthazar whose consummation is for a tear to roll down into his heart. 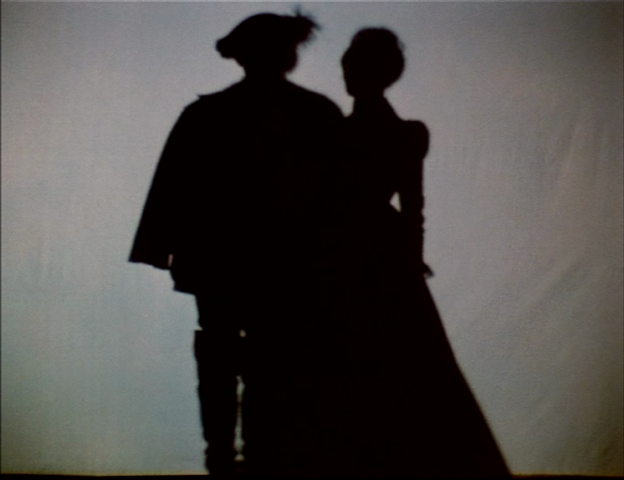 In a movie full of digressions that attempts a view of life in the round, my favourite digression must be the night-time efforts of Hinnulus and Bidens, two scientists in little boats who ignore one another and attempt to pull a great whatsit from the sea. It’s an excoriating lampooning of the scientific method. I think of all the liquors to intoxicate, another great one is ravings about the Turks, this belief that there is God’s work to be done on earth by extirpating the Moors, which must have been a great source of clarity to many.